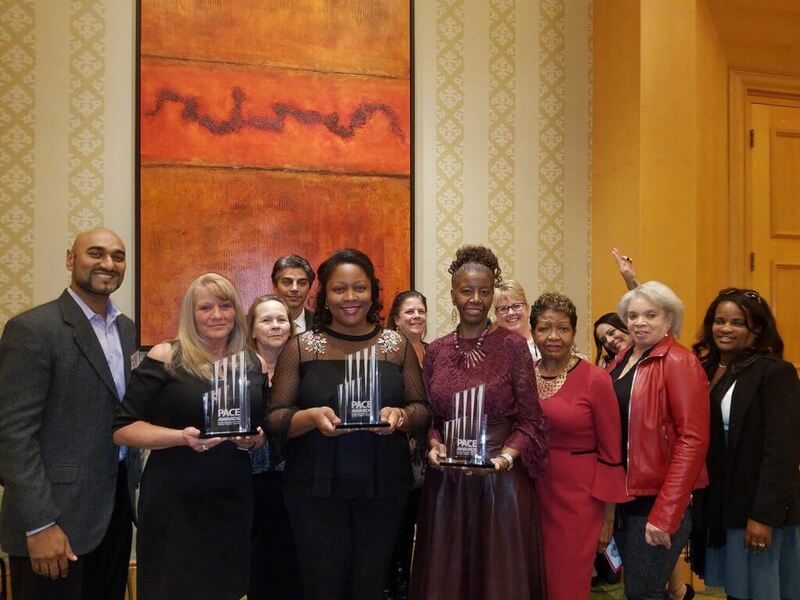 ResidentialONE was honored at the 2018 annual PACE Awards by having 5 properties win Awards. This is the fourth consecutive year properties managed by the firm have won awards. The Property Management Association’s Apartment Community Excellence Awards recognize excellence in the management of multifamily residential properties. Allen House (Washington, DC) won top honors for DC Senior communities. Homecrest Edwards (Silver Spring) was named Best MD Senior Community (rents less than $1275) and Homecrest Mosk/Stein (Silver Spring, MD) was named best MD Senior Community (rents more than $1275). Laurel Lakes (Laurel, MD) and The Maples (LaPlata, MD) won Judge’s Choice for MD Affordable Communities. The judging criteria was based on exterior curb appeal, reception area, leasing center front/desk lobby, best practices, building interior/common areas, model, vacant or occupied apartments and maintenance shops. The field consisted more than 200 communities, serving home to more than 90,000 residents. The 2018 PACE Awards were presented at a banquet on October 18th at Bethesda North Marriott Hotel & Conference Center.